As soon as I got up, I went towards the bus terminal. The board showed that the first bus left at 6:30 AM and the last one at 7:30 PM. I knew that I couldn’t take the first bus and make it in time for my 8:00 AM flight. Instead, I decided to leave on the last bus the night before and waste my time at Jolly Grant airport. 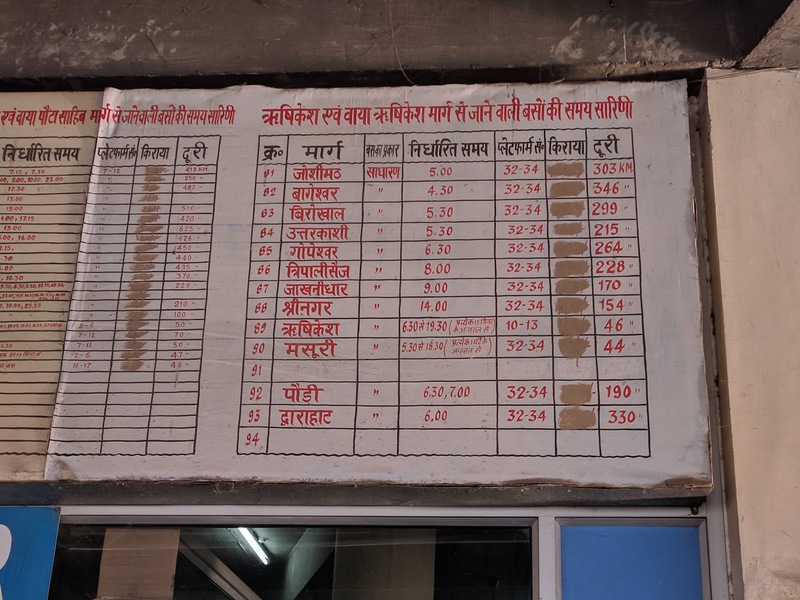 The frequency of Rishikesh bound buses was far lesser during the winters than what was mentioned. I packed up all my stuff and checked out of the hotel. They had a store room where I left my rucksack and ventured towards the city with my daypack. 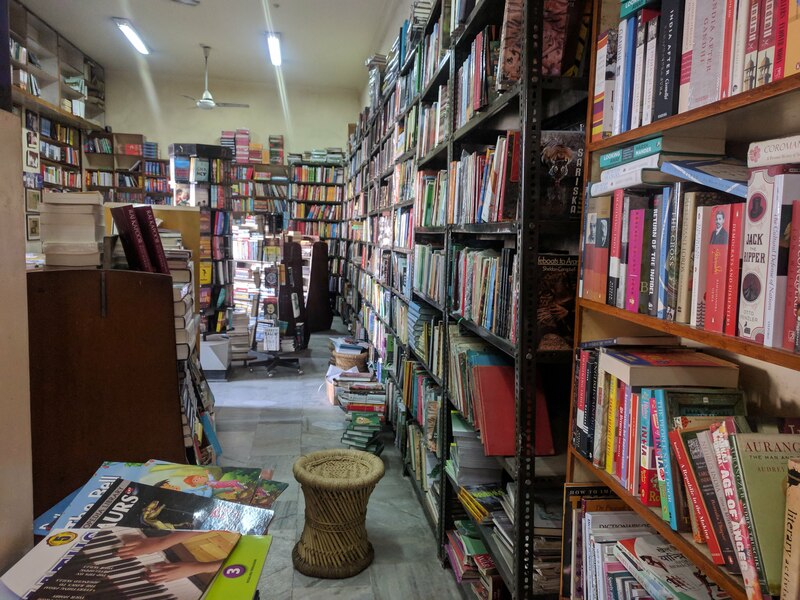 My first stop were two bookstores—The English Book Depot and Nataraj, The Green Bookshop. The former was one of the oldest bookstores, operating since 1923. 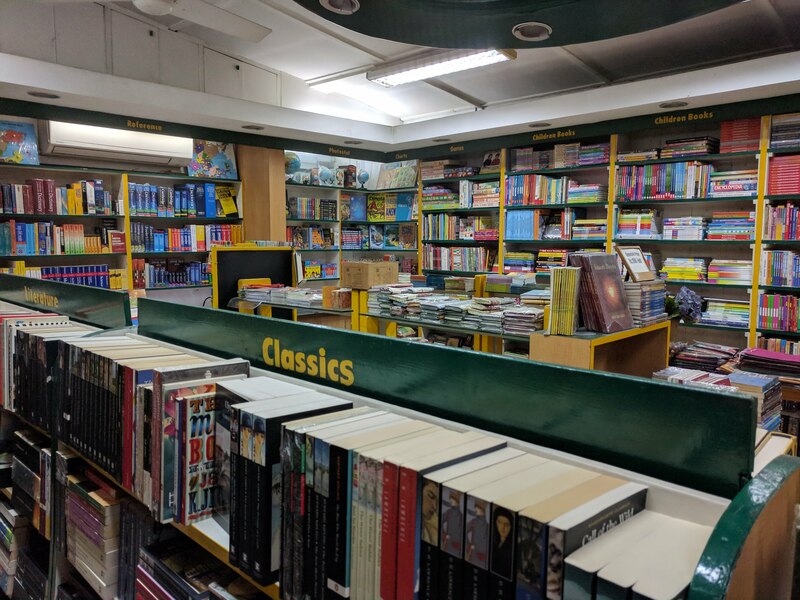 The latter was the outlet of Nataraj Publications that also stocked popular books. I was looking for books on the history and mythology of Garhwal region but failed to find any. The closest thing was the reprint of a gazette published by the British in 1920s—The Gazetteer of Garhwal by H.G. Walton. Nataraj stocked antiquarian works reprinted in hardcover by Asian Educational Services. These titles caught my eye. I must have spent at least an hour flipping through large tomes before buying two volumes of Across Thibet by Gabriel Bonvalot. Gandhi Park was right opposite to the bookstores. 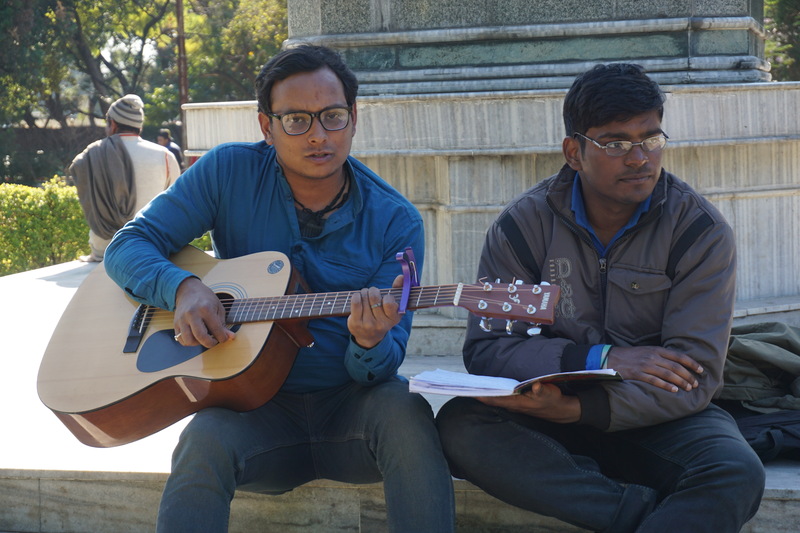 I met Deepak Topal, a singer-songwriter, who was strumming and singing inside the park. I sat for quite some time chatting with him and listening to his songs. He explained that he often played in open spaces to get rid of stage fright. Deepak Topal sang while strumming his guitar. His elder brother owned a small recording studio. Dev, our guide at Kedarkantha, told me about some Joshi’s momos in Indira Market. Sadly I wasn’t able to find the shop. 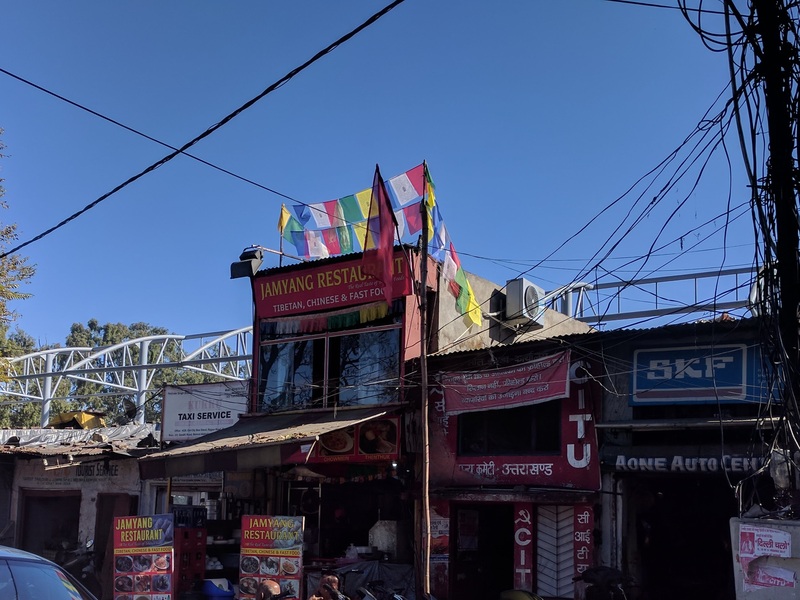 Instead, I had my lunch at a Tibetan restaurant called Jamyang that served pretty good momos but maybe not as good as Yak’s Kitchen in Bangalore. I still had some time left. I decided to go to FRI. There was considerable jam on the road and by the time I was at the entrance of FRI, I knew that I wouldn’t be able to visit the museums. I just enjoyed a walk on the lawns and a view of the old building from the outside. 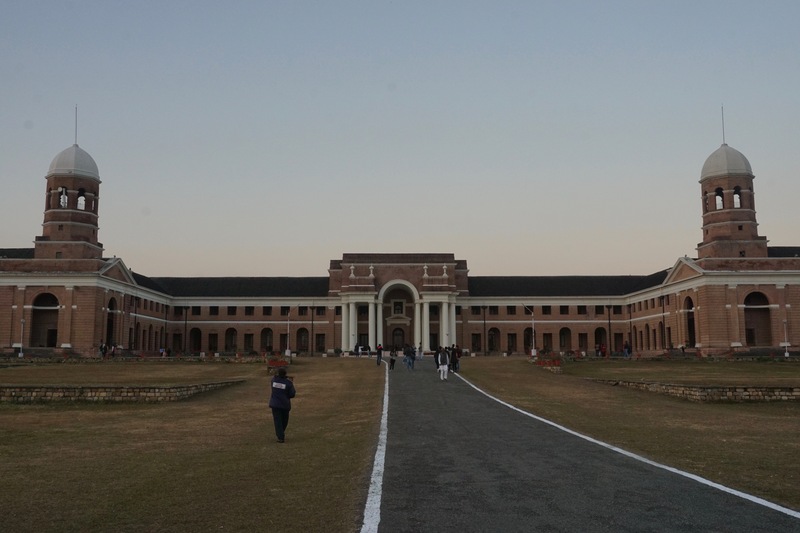 The clean and green campus was a welcome departure from the dusty and polluted city. The museums closed by 5:00 PM. I could only admire the building from outside. It looked spectacular against the hills of Mussoorie as its background. I chanced across an old man with a Schwinn Frontier hybrid cycle. The accessories mounted on his bike gave me the impression that he must have been riding long distances. 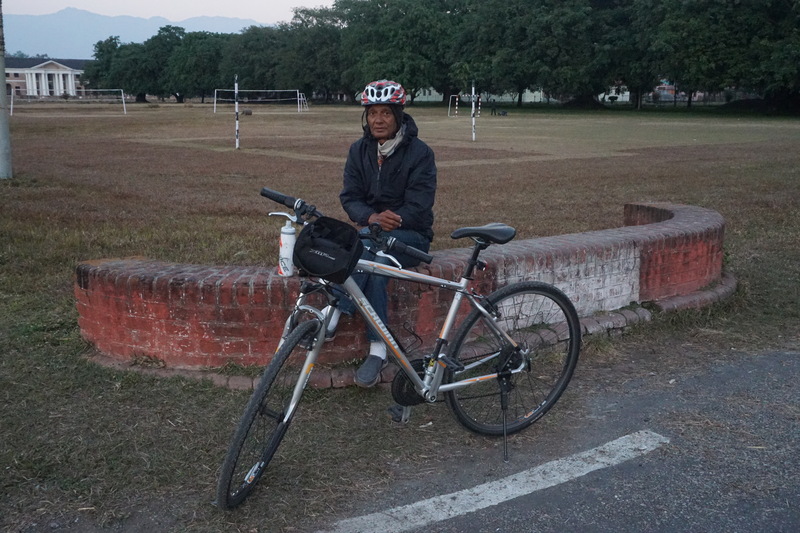 Mr. N. D. Bahuguna was a seventy-four year old man who regularly rode at least fifteen kilometres everyday. Occasionally, he ventured out to do centuries. He described himself as someone who was young at heart and preferred adventure. During his younger days, he had travelled from Dehradun to Kanyakumari and back in a Maruti 800! Mr. Bahuguna was sporty enough to wear his helmet before letting me click his photograph. I was stuck in heavy jam while returning from FRI to ISBT terminus. I wasn’t expecting Bangalore-like traffic in Dehradun. At one point, I feared if I would be able to make it in time to catch the last bus to Jolly Grant. Thankfully, I was able to get down, rush to the hotel, pick my rucksack from the store room and get to the terminus with half an hour to spare. The road from Dehradun till Haridwar bypass was horrible. It was reduced to layers of rocks and gravel by the ongoing construction of flyovers. It took over an hour to cover that small thirty kilometre distance. The bus dropped me at the airport road junction, from where I walked two kilometres (just like the first day) to reach the airport. The doors were locked! I knocked on the glass and alerted the security guards inside. I explained to them that I wanted to sit through the night inside. 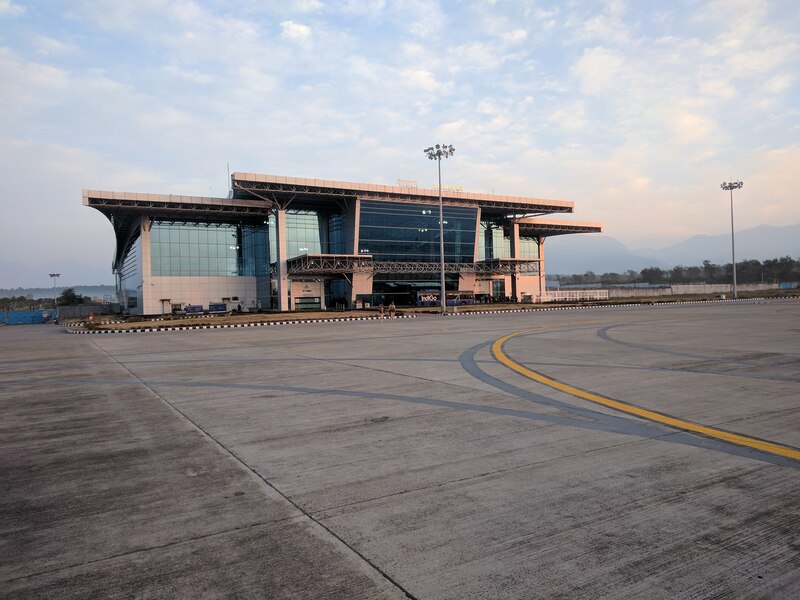 Sadly, the airport had no such provision since there was no operation at night. One of the security guys advised me to walk back four kilometres to Jolly Grant settlement and stay at any of the small lodges. It was already past 9:30 PM. While walking back, I kept waving at two- and four-wheelers for a lift. One of the cars went past me, stopped and then waited for me to catch up. The guy inside was curious to see a lonely traveller with a rucksack walking on a deserted road. 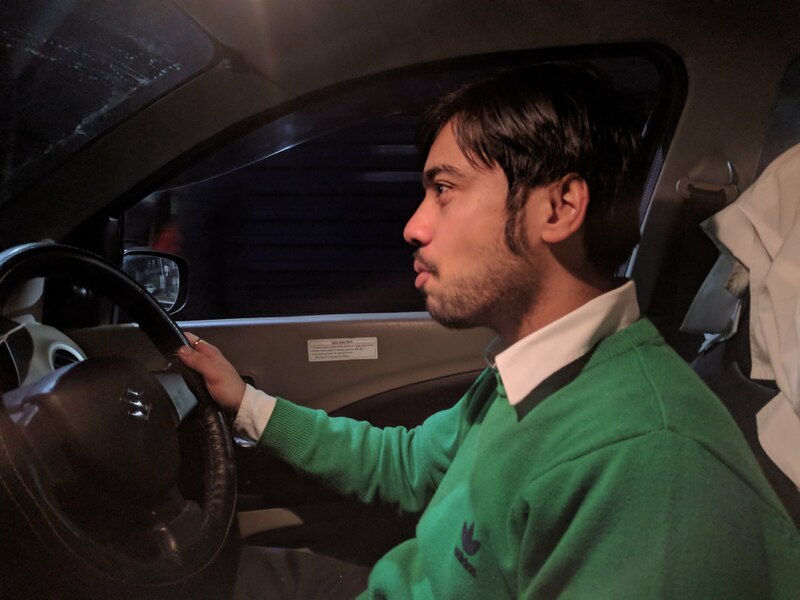 Dr. Ankit Tyagi, as he was known, was a post-graduate student of orthopaedics at Swami Rama Himalayan Institute of Medical Science and was driving aimlessly to clear out his mind after a long operation. We chatted for a very long time as he drove back an forth on the highway, stopping occasionally at small shops for a cigarette break. He even showed me around his hospital before dropping me at one of the lodges. Dr. Ankit Tyagi hailed from Meerut and had been with the institute ever since his undergraduate days. I don’t even recall the name of the lodge. All I remember is that it was already 11:30 PM and the guy at the reception charged me eight hundred rupees for an overnight stay, a plate of Maggi and a double omelette. As soon as my alarm went off at 6:30 AM the next day, I silently left the hotel incognito to catch my flight. The same Jolly Grant airport. This time in the morning.